What are you training for? Did you know that various repetition ranges account for different kinds of strength gains? Are you training for strength, power, hypertrophy or endurance? These are important questions to ask yourself, especially if you’re a novice lifter. 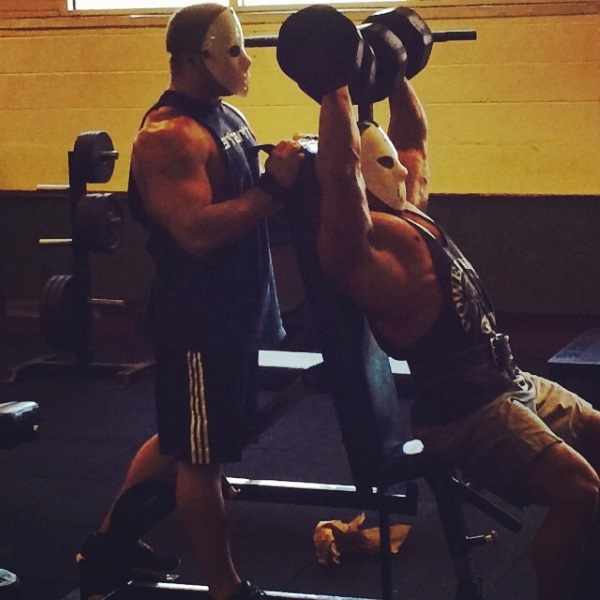 Going into your workout blind isn’t necessarily a bad thing, but it’s certainly not the best route to take when trying to change your physique. As a woman, I’ve always heard people say “you want to lift lighter weights, with more repetitions so you don’t get too big, you don’t want to look like a man, do you?” Initially, I listened. I lifted light weights for what seemed to me like a ridiculous amount of repetitions. Just because I was excruciatingly bored, I started lifting heavier and for fewer repetitions. This is when my changes became obvious. Maybe I was never meant to be a “toned” woman, but one who packed on good amounts of muscle instead. That’s just what felt natural to me. I tell you this to say that, initially I was training for endurance but when I changed up my routine I began training for hypertrophy, completely oblivious to the other two muscular training regimens (strength and power). So, what’s the difference? Muscular endurance is a form of muscular training which aims at building the energy systems, muscle fibers, and capillaries through type I motor unit recruitment so that a greater amount of oxygen is being utilized during training sessions, allowing for extended periods of muscular work. Muscular endurance training is often associated with cardiovascular fitness, as cardiovascular fitness enhances oxygen consumption, thus, allowing for longer periods of work. Training for muscular endurance is achieved by training at loads less than 67% of 1-repetition maximum (RM) with 2-3 sets and greater than 12 repetitions per sets (20-25 reps being the optimal range), with 30 seconds or less in between sets for rest. Training for muscular endurance may include bodyweight exercises, low-intensity lifting, and cardiovascular fitness for athletes who compete in long-distance running, cycling, rowing, and swimming, just to name a few. Muscle hypertrophy is the process of increasing the size of the muscle via increasing the surface area of the skeletal muscle cells (not by making more skeletal muscle cells). Muscle hypertrophy is the term used to describe an increase in muscle size. Training for skeletal muscle hypertrophy involves motor unit recruitment of mainly type IIa muscle fibers, however, training for hypertrophy also includes muscle fiber recruitment of both type I and type IIx. This type of training is achieved by working at loads between 67 and 85% (moderate intensity) of 1-RM with 3-6 sets per exercise, and 6-12 repetitions per set. Rest periods for muscle hypertrophy should not exceed 30-90 seconds rest in between sets. Bodybuilders and “gym rats” tend to use this method of training to increase muscular size through the implementation of single- and multi-joint exercises via various types of exercises including body weight, free weights, and machines. Training for power involves high force production of muscle tissue and high speed of muscle fiber contraction. Those who train for power are typically athletes whose sports require quick and forceful movements to achieve an optimal level of performance (i.e. powerlifters, Olympic weightlifters, volleyball, football, etc.). This type of training can be broken down into two types: (1) single-effort event involves 3-5 sets of 1-2 repetitions at 80-90% of 1-RM strength, and (2) multi-effort event involves 3-5 sets of 3-5 repetitions at a slightly lesser effort of 75-85% of 1-RM strength. In both cases, 2-5 minutes’ rest is recommended for optimal power production at the intended work-load. Power training regimens may include plyometric, ballistic, contrast, and maximal strength training with movements specific to an athlete’s sport. Strength training requires low speeds of muscular contraction at maximal force production and increases the strength of any one specific muscle or group of muscles. This type of training protocol calls for 2-6 sets of 6 or fewer reps at a workload of at least 85% of 1-RM. When training for strength, like training for power, 2-5 minutes in between sets is optimal for muscle recovery to be able to achieve the desired workload (85% of 1-RM), through the implementation of free weight exercises and machines at heavier workloads. Going into your workouts blind could mean making improvements, but perhaps in all of the wrong areas for your intended goal. Knowing how different training protocols will alter your body’s physiology is the foundation for knowing how to properly train. In choosing a training regimen, it is important to know what you’re training for. Do you want to be able to run long distances, look big, jump high, or win an arm wrestling contest?